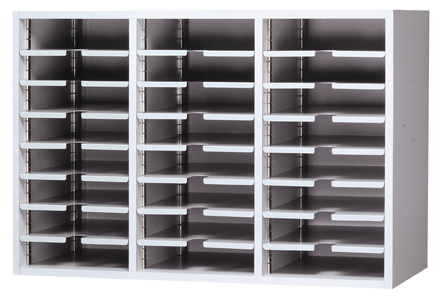 Depth can be purchased in letter size (12 1/4") or legal size (16 1/4") which allows for a net opening for letter sort modules of 11 1/4"W x 11 1/4"D or legal sorters of 11 1/4"W x 15 1/4"
(+$12.00) Label holders allow the end user to identify each pocket opening. When this option is selected you will be supplied with the appropriate amount of clear plastic label holders with double sided tape and cardboard inserts for personalized market for each pocket opening. 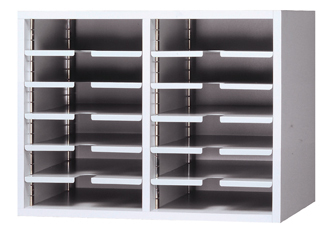 (STANDARD) Finishes for mail sorter shelves are available in fifteen powder coat paints. The paint is high quality, solvent free, and endorsed by the EPA. All of the paint finishes cost the same for the buyer. Buyers can request color chips at no charge to assist them in choosing a paint finish. 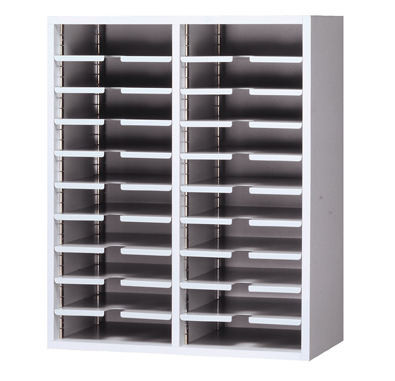 (STANDARD) The exterior and interior of the sorter shell can be finished in your choice of twelve stock laminate finishes. All of the stock finishes are priced equally. Buyers can also opt to have the laminate finish color matched to their specifications, however it often results in an up charge and a longer lead-time. 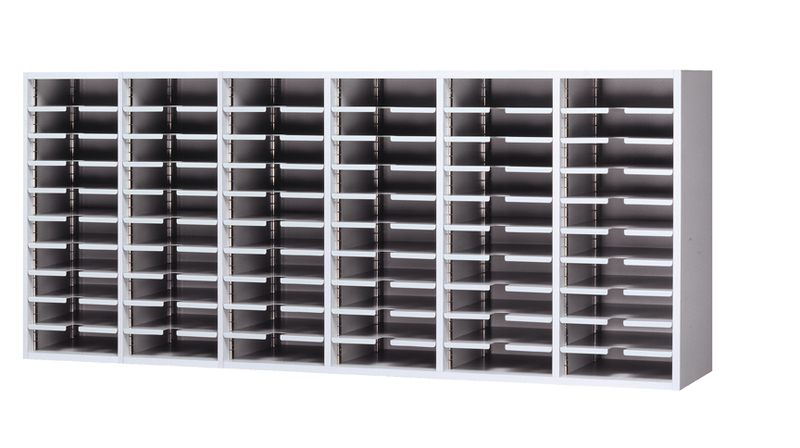 The mail sorter's exposed edges will be finished with a PVC commercial tape which will match the laminate finish to provide a finished appearance for the unit.